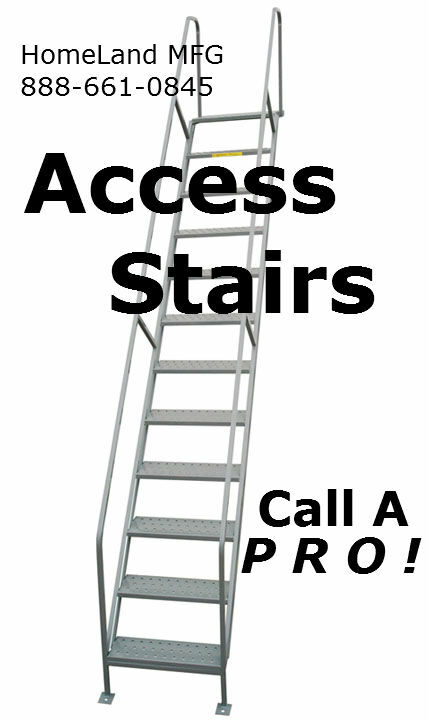 Our all-welded INDUSTRIAL STAIRWAY is our strongest and most rigid steel stairway we build. 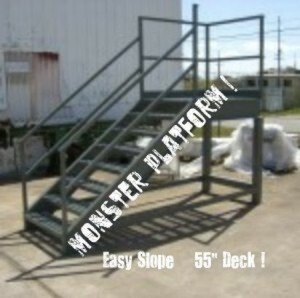 Using 10” channel stringers and deep step treads, the stairway has a very gradual 36 degree slope. 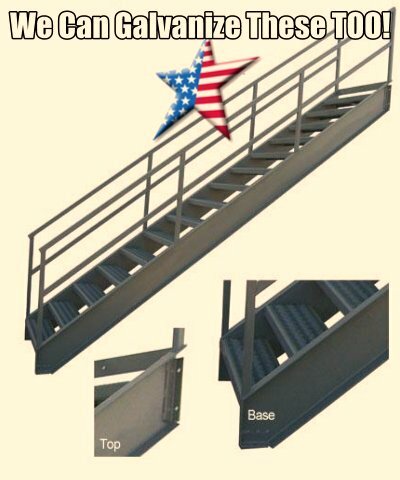 Instead of our standard 1” tube railing, we use a 1.5” tube to increase its rigidity. We build these stairways to a variation of heights and widths all the time for our customers. 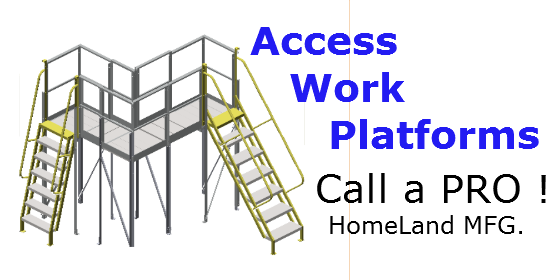 We also can build mid-platforms and top landing turns and platforms. We can also GALVANIZE these. Make sure your measurements are correct, be aware of local OSHA requirements, etc. before placing your orders ! !